Interpine team recently presented and demonstrated at ForestTech 2018 the use of virtual reality for in forest inventory. 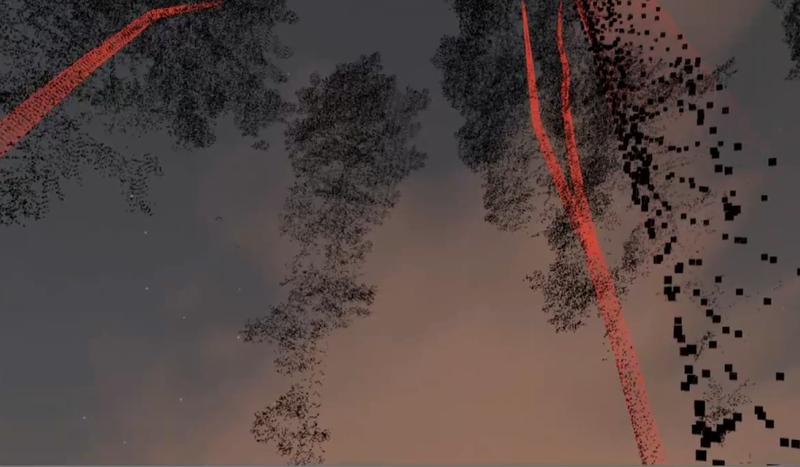 While the system can use terrestrial LiDAR the focus was on using utra dense point clouds from airborne sensors flying above the tree canopy. This is dataset is an example of 7000 pulses per m2 using the Riegl VUX1LR Sensor across a Pinus radiata forest. 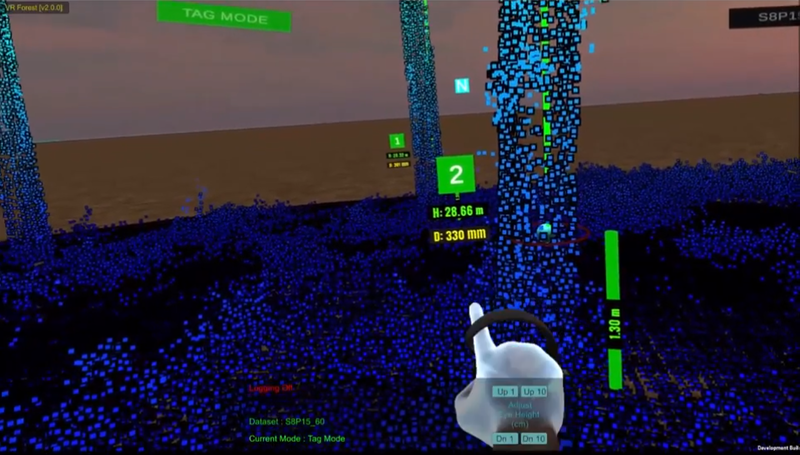 The data is then made available inside a Virtual Reality Oculus Rift headset for measurement of the forest in combination with advanced algorithms for stem structure detection. Human’s are training assistance to active machine learning approaches to enhance the interpretation of stem structure and train computer vision. This steps Interpine into the next generation with the use of LiDAR for forest inventory removing the need for individual tree assessment in field, instead collecting ultradense LiDAR datasets from airborne data above the canopy and using enhanced techniques for automated stem profiling and machine learning connected with a human interface in a virtual environment to adapt and learn.